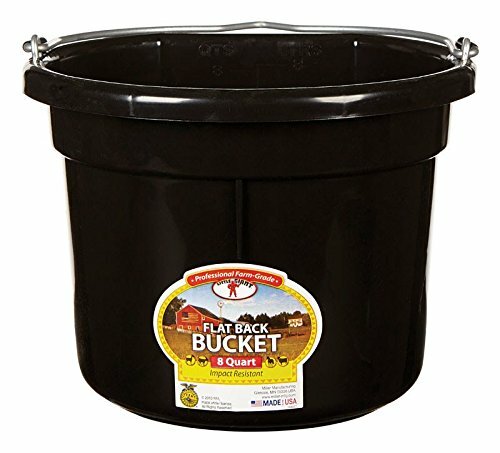 Miller Manufacturing P8FBBLACK Black Plastic Flat Back Bucket 8 Quart has a flat back that fits more compactly against a wall or fence and makes hauling heavy loads of water or feed a lot easier. Buckets are made from polyethylene resin that is impact resistant. Resistant against warping and helps prevent stress cracks.